The past few years have seen an increase in the number of internet users researching on medical practices or seeking to identify different medical practitioners in the world. 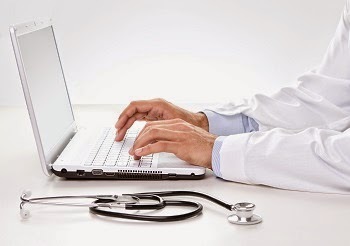 Local SEO has become an incredible tool for medical professionals marketing their services locally and many have been able to connect with many new clients by simply posting their information online and optimizing the same. Local health and medical professionals, including chiropractors, dentists, physicians, surgeons, and doctors, are just but a few examples that have greatly benefited by simply embracing local SEO and digital marketing to expand their client reach. Medical professionals are starting to realize the value of using SEO to improve their chances of being found by people searching for the services they offer. The use of keywords for marketing is particularly important as it helps to optimize websites thus improving the probability of being found by clients seeking for medical services. However, it is important to medical practitioners to narrow down their search engine optimization if they are to achieve an increased ROI. For example, if you specialize in breast augmentation in Boston, it will pay more dividends if only you optimize your keyword in relation to your location. Rather than using “breast augmentation” alone as your keyword, it is good to know that people in your locality are searching for such services and can only find you with ease if you use, “breast augmentation Boston.” This serves you well considering that search engines have embraced this to help improve internet marketers’ SEO rankings locally. It is always easier for people searching for medical information to narrow down their search to places that are easily accessible to them. This makes it easy for searchers to contact a doctor whose details have a higher SEO ranking, have authoritative information on the kind of health issue they are dealing with and also one whose previous customer reviews are impressive. As a medical business, it will be sensible to fine-tune your keywords to the local audience to help ensure that your marketing efforts are effective. This is like a fish dealer who wants people to capture his fish easily. Instead of putting the fish in an ocean, he will put them in a pond thus making it easier for fishermen to capture them with ease. By using local SEO, surgeons and medical practitioners are able to target only those interested in their services thus eliminating generalities which can hamper effectiveness. Local SEO for surgeons in particular is growing in popularity as digital marketers seek to take advantage of search engines’ ranking techniques. As a medical practitioner, you can take advantage of local SEO to target new customers and with professional and satisfying services; you will be guaranteed of client retention and growing influence. Working with a professional digital marketing company will enable medical practitioners to grow their customer base and thus keep them busy service those who come their way. 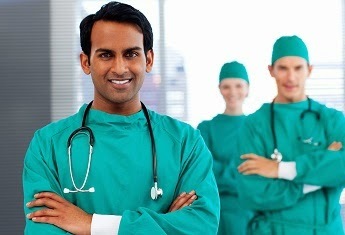 Local SEO for surgeons and medical specialists is cost effective and rewarding when done professionally. It will allow you as a service provider to lower your marketing expenses, increase your customer base thus increasing your Return on Investment by a huge margin. You only need to work with a professional to help in the selection of the right keywords to be used in the local SEO campaign and the rest will fall into place. Once everything is done professionally, you can rest assured that your site will rank top in the first page and this simply means that people will visit your site in search of solutions to their health problems. There are different techniques to help you improve your marketing strategy for medical professionals. I learned a lot from your post which I would be glad sharing this to my colleagues in clickminded seo training.